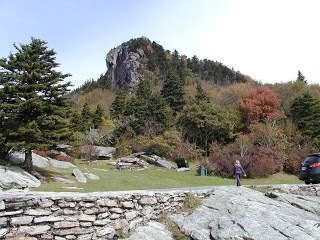 As mentioned in our latest fall color report, we spent an afternoon this week at Grandfather Mountain, which is just over an hour’s drive northeast of of the Inn on Mill Creek, our Bed and Breakfast near Black Mountain. 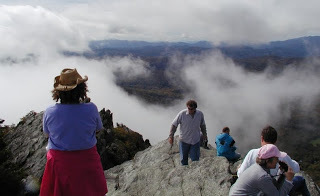 Since the first two weeks of October bring out the best fall foliage in the upper elevations of the North Carolina mountains, we were excited about going, and Grandfather Mountain didn’t disappoint (even with the clouds). Click on any photos to see them larger. 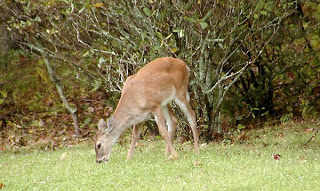 We headed up Highway 221 from Marion to Linville, past lots of Christmas tree farms and camping areas. 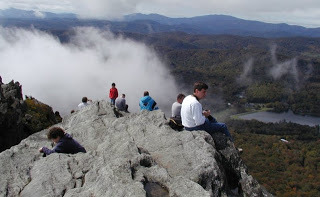 (Another way to get to Grandfather Mountain is to take the Blue Ridge Parkway to Milepost 305.) 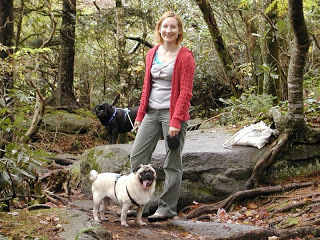 On our arrival, a very nice gentleman at the entrance gate told us that the innpugs, Csaba and Bugsy, were welcome anywhere (on leash) except for inside the wildlife habitats and buildings…which was 99.9% OK with the innpugs. 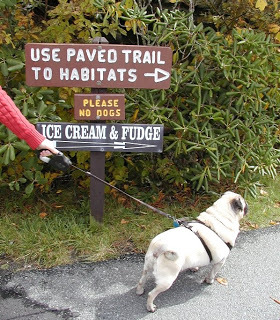 Here are two: ice cream…two more: no dogs. Sorry, Csaba! 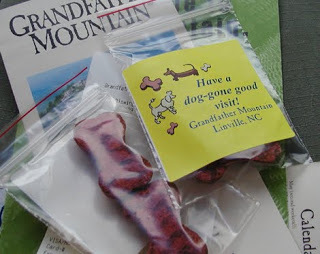 The entrance gate attendant gave us a little something for the innpugs, showing us that Grandfather Mountain does love its pet visitors! 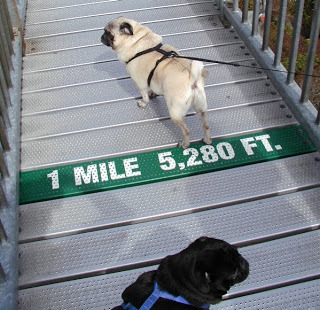 We then passed the hiking trails parking lot and went on to the Mile High Swinging Bridge, where Csaba and Bugsy elicited lots of “Aw, how cute!” and “We love pugs…they’re so cute!” and “They are so cute!” and “How cute are they?! ?” and, well, you get the picture. 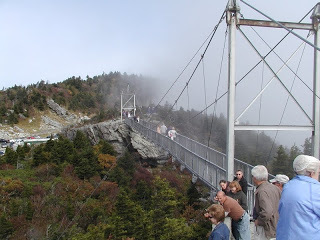 Once we walked back over the bridge, we headed to the hiking trails parking area and proceeded on the Black Rock Trail. 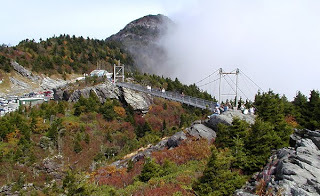 Grandfather Mountain’s trails are split into two categories: Nature Walk trails and Backcountry Trails. 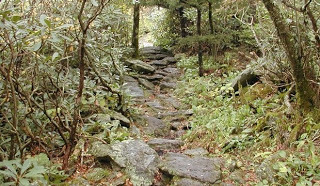 The Black Rock Trail is considered a Nature Walk trail. 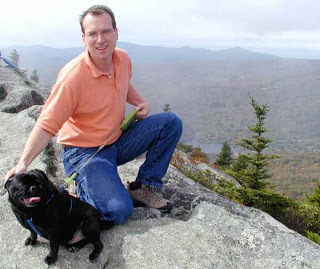 It’s a moderate trail through a wooded area — rocks and roots underfoot — and there are views at the end, but we only made it about halfway before Csaba was ready to head back. He’s had minor surgery recently on his upper arm, so we’ve been making sure he doesn’t exert himself (and those of you who know Csaba know that his laziness trumps most activity and so he’s been a model patient). 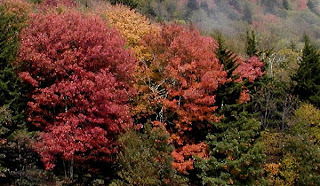 We highly recommend a trip to Grandfather Mountain this time of year — it’s perfect for a day trip and you can go on a beautiful section of the Blue Ridge Parkway there or back, making for a great fall foliage scenic drive.